SALE! - LIVING AND CO.
Beautiful House Doctor Lana vase. This Lana vase is made of glass and has a diameter of 15cm with a height of 17cm. With metal frame. Nice combined with the new House Doctor items! Beautiful House Doctor Aljeco vase. 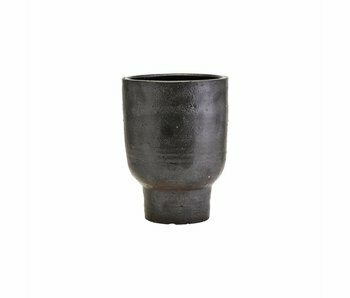 This Aljeco vase is made of dark gray / black earthenware and has a diameter of 32,5cm with a height of 40cm. Nice combined with the new House Doctor items! Beautiful House Doctor Mila rug. 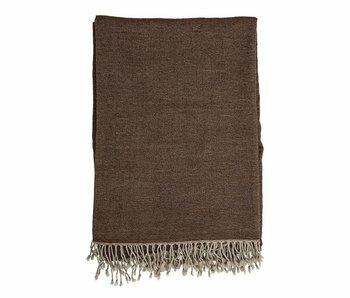 This Mila rug is made of cotton, polyester and viscose and has a size of 70x240cm. Equipped with a nice playful pattern. How do you combine this rug? Beautiful House Doctor Arch lamp. 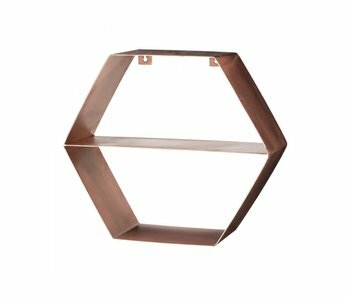 This black Arch pendant lamp is made of metal and brass and suitable for three light sources. Comes with a 2.5m long cord and is suitable for an E27 fitting with 25W max. Beautiful House Doctor Opal hanging lamp. 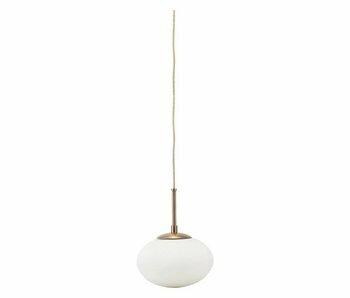 This Opal pendant lamp is made of brass-colored metal and has a white glass lampshade. 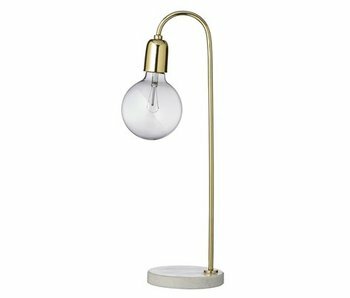 The lamp has a diameter of 22cm. Comes with a 3m long cord and is suitable for an E27 fitting with 40W max. Beautiful House Doctor Baloon vase. 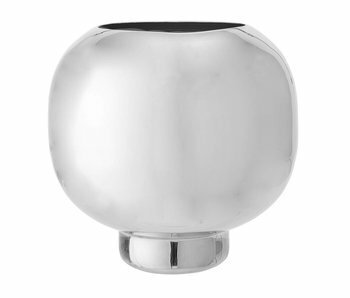 This Baloon vase is made of gray glass and has a diameter of 43cm with a height of 57cm. Nice combined with the new House Doctor items! Beautiful vase from the beautiful interior brand Bloomingville. This Bloomingville vase has a diameter of Ø24 cm and is 25 cm high. Made of silver-colored aluminum. Beautiful plaid of the beautiful interior brand Bloomingville. 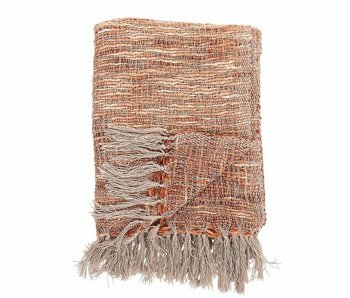 This Bloomingville plaid is made of brown wool and has fringes on the sides. Very nice to use because of the large size of 170x130 centimeters! Beautiful flowerpot of the beautiful interior brand Bloomingville. 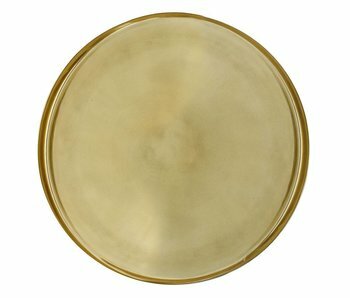 This Bloomingville flowerpot with saucer is made of natural earthenware and has a diameter of 28 cm. The height of the flower pot is 27 cm. 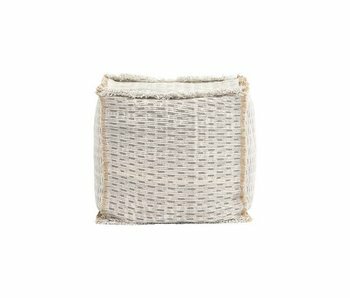 Beautiful set of baskets from the beautiful interior brand Bloomingville. 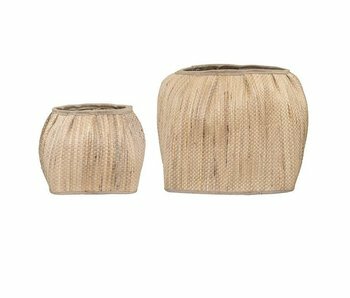 This Bloomingville baskets set consists of two pieces with a different size. Beautiful to apply in any interior! Modern hanging lamp from the Danish interior brand Hübsch. 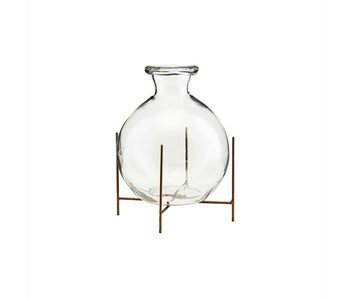 This beautiful Hübsch hanging lamp is made of glass with brass detail and is great in any interior! How do you combine this pendant light in your interior? 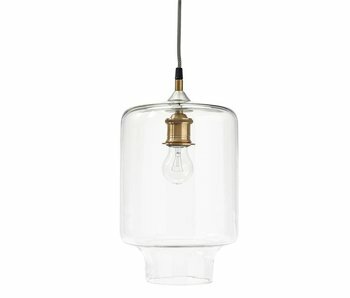 Modern hanging lamp from the Danish interior brand Hübsch. 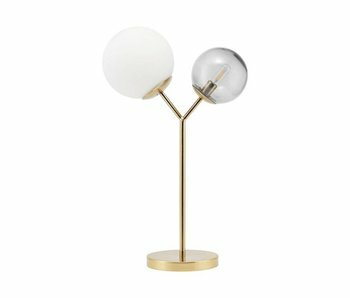 This beautiful Hübsch lamp is made of white glass with brass detail and is great in any interior! How do you combine this pendant light in your interior? This beautiful Hübsch dining room table is made of lacquered oak. 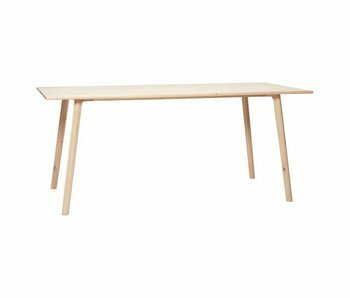 The table has a minimalist look because of the natural wood. 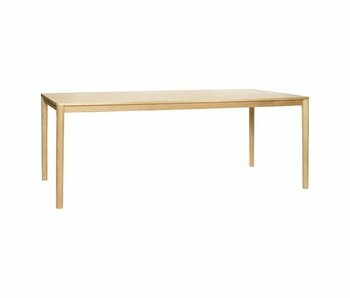 How do you combine this beautiful table in your interior? How beautiful is this table! 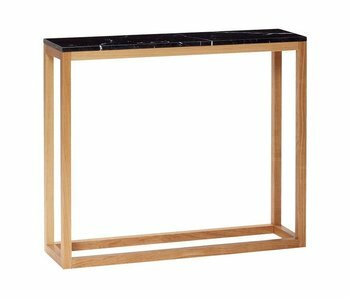 This beautiful Hübsch table is made of wood and has a black marble top. How do you combine this table? Sale of LIVING AND COMPANY. 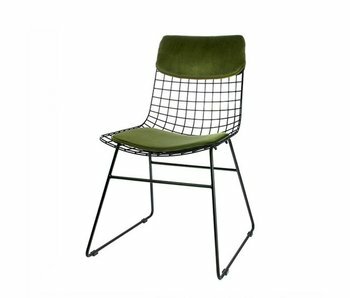 Top Brands Bloomingville, HK Living, House Doctor, HAY, Storebror, Normann Copenhagen and Amsterdam FEST with an attractive discount!